As a Principal or Technology Director you recognize that student computer literacy is the expectation, not the exception. You also understand the need for achieving a “technology ready” school, supporting curriculum and student achievement. Everyday, new technologies offering powerful digital learning opportunities are being made available to both students and teachers, requiring schools to ensure faster, more available and more consistent connectivity school-wide. As you’re considering initiating or expanding 1:1 digital learning environments and other technology-enabled instructional models, they require robust wired and wireless connectivity capable of delivering consistent high-speed broadband to every student and staff device. Basic connectivity is simply insufficient to support the technologies needed to achieve a tech-ready school. If you’re a typical school leader, you are also likely stretched in many directions and are first and foremost an educator, not a “techie”. Technology is at best several items down the priority list. We partner with you on a continual basis, complementing your internal efforts, saving you time and resources, and freeing you to focus on what you love and do best — teaching our next generation! Assessing your school’s overall technology status and readiness for a 1:1 program and a technology-enabled environment, based on your individual needs. Helping you develop and maintain a responsible two-to-three-year technology plan considering your vision, school-wide needs, sequencing of purchases, and funding strategies. 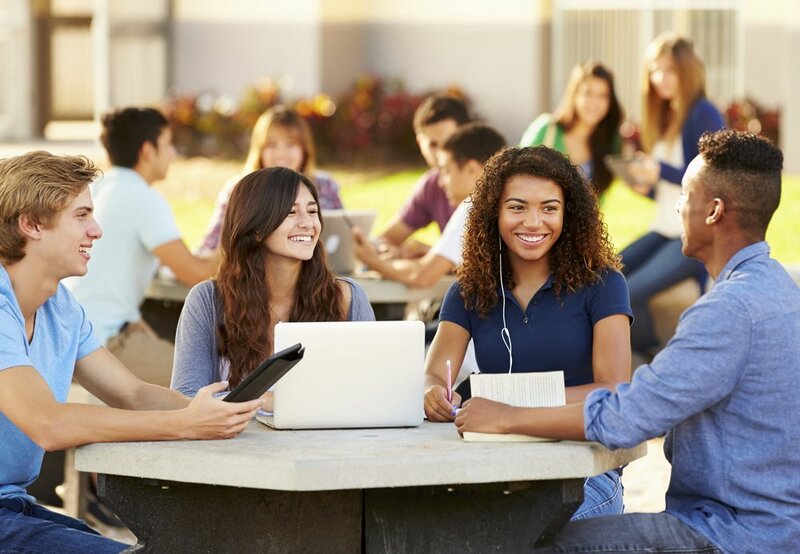 We help you plan for, deploy and maintain school-wide broadband wireless internet services, communications infrastructure, staff devices, student devices and classroom and lab technology consistent with best practices and your school’s unique needs. Provide support for online student safety and responsible use practices, ensuring students are accessing the resources they need, while avoiding getting themselves into trouble. Management of assets, vendors and projects related to school-wide technology, putting our expertise to work and making your life easier. Experienced. You'll find peace of mind with a partner with more than 20 years of Information Technology experience, one committed to education and providing deep technology expertise, perspective, and understanding of the unique needs of K-12 schools like yours. Responsive. We're there exactly when you need us and supporting your school behind the scenes day to day. Affordable. Friendly fixed-pricing, right-sized for schools, in a way that aligns well with annual budgets. Accountable. Ensure technology develops as a sustainable school program year over year, versus relying on individual heroic efforts, inconsistent volunteer help, or irregular support from technology contractors unfamiliar with the broader needs of your school. Prepared. Demonstrate a robust vision and plan for technology, distinguishing your school in the community, not just for today, or for tomorrow, but for the next generation. Responsible. Avoid wasting resources — your time and limited budgets. Software Services including student information systems, messaging, parent and teacher collaboration, grade-books, classroom websites, library management, and more! EXPERIENCE SCHOOL TECHNOLOGY IN A VERY DIFFERENT WAY! We’re excited and honored to be participating in the world of education. Having worked with many K-12 schools throughout Northern California, we’re proud to say we’re the ideal partner to help you reimagine the role and promise of technology for your school. Join countless other school leaders and contact us today to schedule a complimentary onsite consultation and campus assessment.